North Weald Airfield is an Essex based venue just off the M11 and is host to supercar driving experience days and track day based driver training days. When driving supercars at North Weald, the emphasis is on the acceleration from 10-70mph which only takes seconds in these awesome cars. 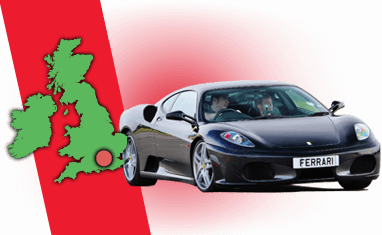 There is usually plenty of availability throughout the year and with it being an airfield and not a racing circuit the price to drive a supercar is much cheaper than that of a real racing circuit. There is a wide selection of cars to drive including Ferrari, Lamborghini, Subaru Impreza plus much more. High-speed passenger rides in a Lotus Elise can also be added to the experiences available. Along with supercar driving experiences, there are also Junior supercar experiences, under 17 first drive sessions and skid control training. The driving experiences available at North Weald are perfect for both adults and juniors and also anyone who doesn't hold a driving license. As long as juniors are above the age of 12 and over the minimum height of 4ft 10 then they can enjoy a drive in a supercar of their dreams. Even though the venue comes under Epping Forest District Council it is still privately owned and thus anyone holding a provisional license or no license at all can also take part as most of the supercars have dual controlled. Find available dates for north weald airfield driving experiences with our live calendar. Love the thrill of acceleration? Feel the forces throw you back in your seat with an experience day at North Weald Airfield in Essex. This former RAF fighter base is no stranger to powerful machinery, having played an important part in the Battle of Britain missions during the Second World War. Pilot some of the most legendary supercars, including the Lamborghini Gallardo, Nissan GT-R and Porsche 991 Turbo around our speed focused course. With a huge range to choose from and packages giving you the chance to have a go in up to ten cars, you can really appreciate what makes each car special! If you’re looking for your next adrenaline rush, North Weald is perfect to take a full throttle passenger ride in a Lotus Elise with a professional driver. See the track in a whole new light as you get a real appreciation for the racing instinct. As airfields are big, open spaces, North Weald is also the perfect place to hone your technique with our driving skills activities. Turn the key for the very first time with our First Drive experience or improve your reactions by learning how to control a skid. Alternatively, you can get a taste of the trucker life by taking a 55ft, 18 tonne Renault Magnum tug and transporter out with our instructors. North Weald offers a great opportunity for car mad kids to indulge their passion for all things four wheels. Head out in a selection of our fantastic cars, including the futuristic BMW i8, powerful Chevrolet Camaro and Subaru’s iconic Impreza. Most of our vehicles have dual controls and all are supported at all times by our trained instructors. Based just off the M11 and only six miles from the M25, North Weald Airfield is a convenient experience venue for those in London and the south-east of England. Whether it’s the supercars, skills sessions or truck experiences which float your boat, we have plenty of opportunities to get behind the wheel. Pick up a 10-month gift card for the perfect present or sign yourself up to a North Weald Airfield experience.